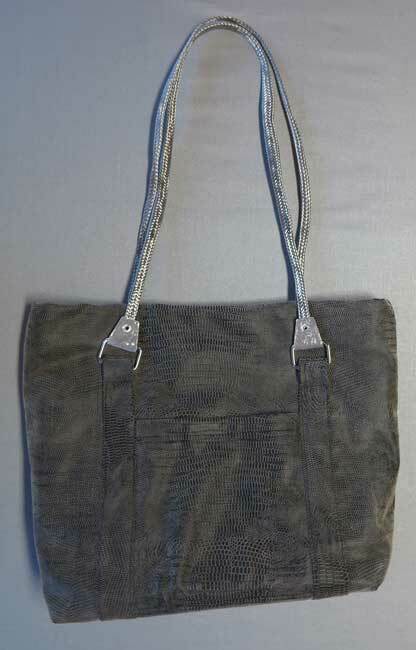 My BSF Debra and I got together to make handbags, and what fun we had! 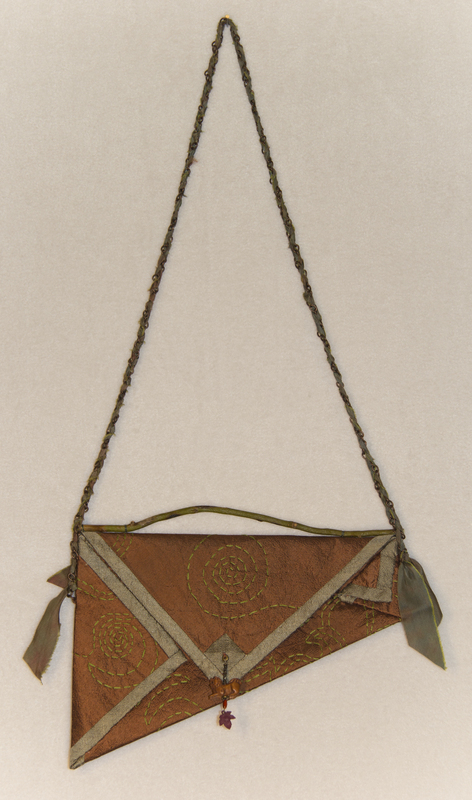 Inspiration for these bags came from multiple sources and came together for a couple of cool purses…at least we think they are cool! 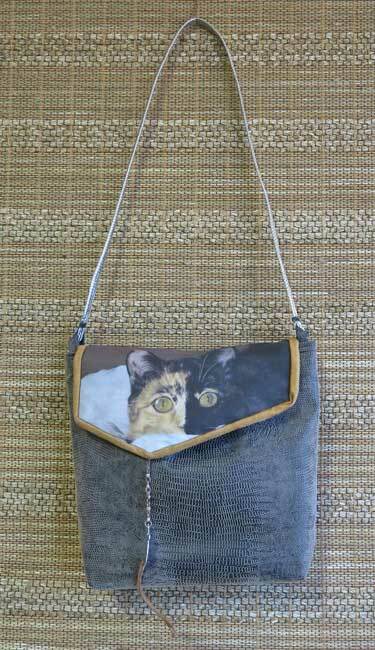 My small bag features my cat Ichi who is a walking piece of graphic design. I copied the photo onto cotton ink jet prepared fabric. 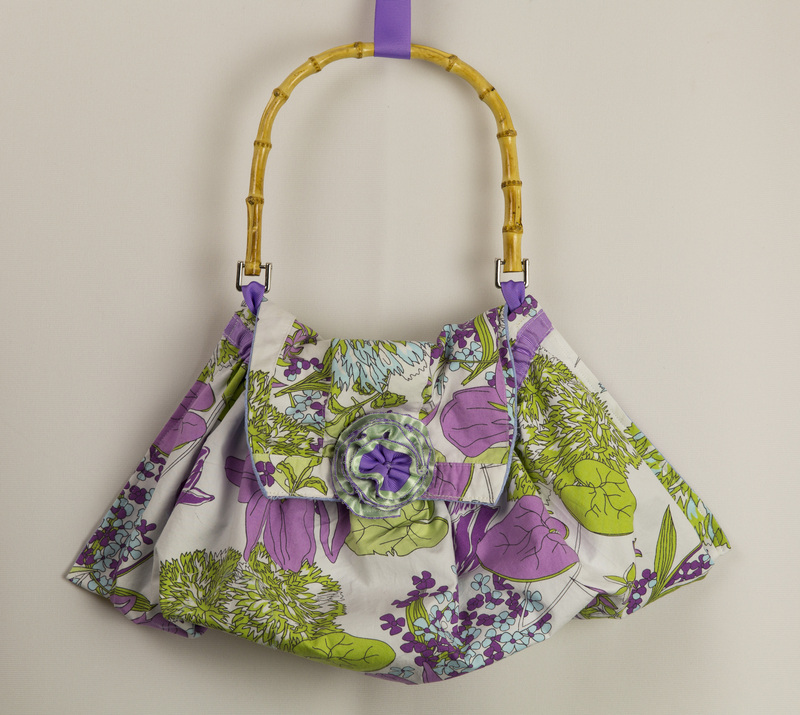 Debra custom designed her interior to hold files, an iPad and a water bottle with all the other typical purse needs. 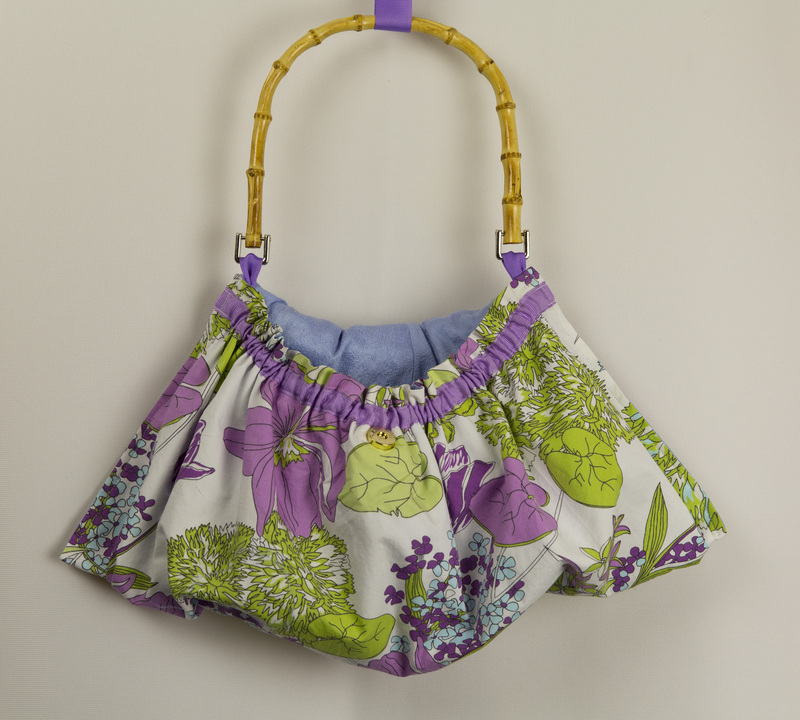 While she designed it to take on vacation is using it every day, and it’s fantastic! 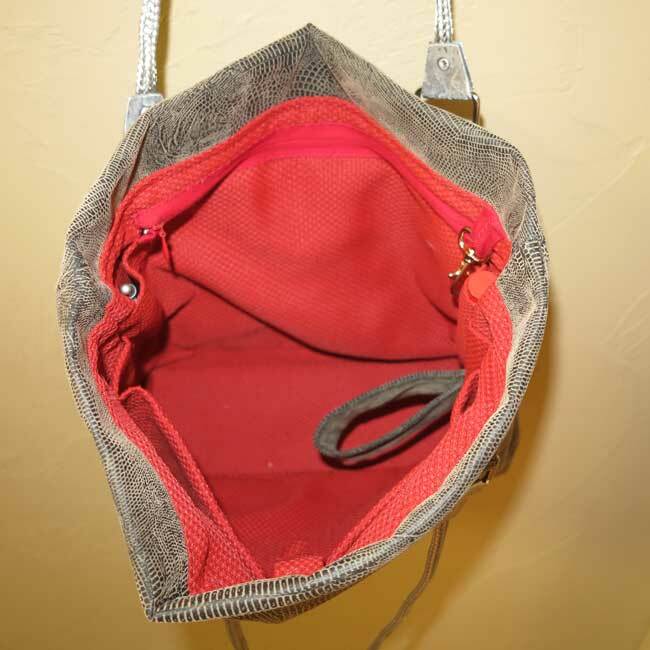 The second inspiration came from Diane Ericson and her plumbing supply line discovery. 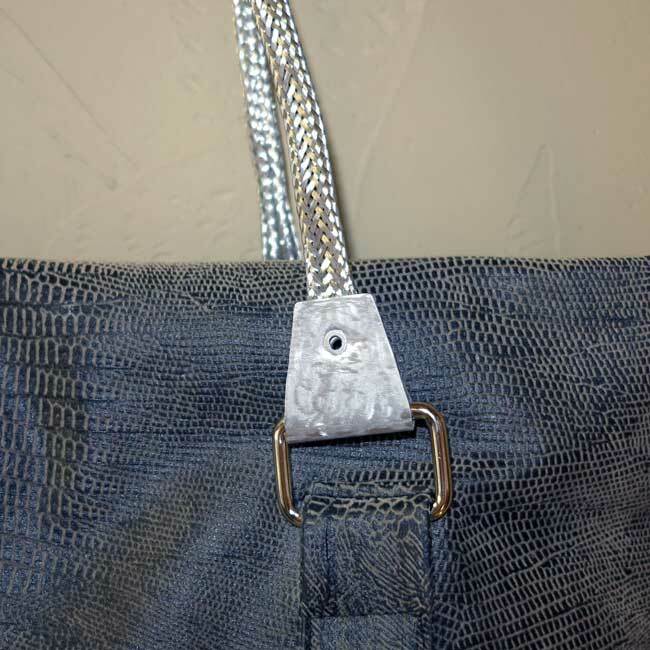 We both used the woven stainless steel for our purse handles. 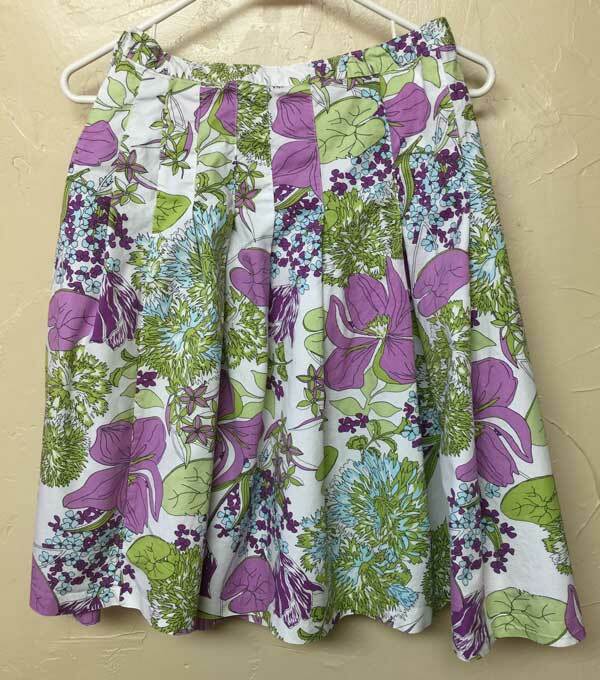 The third inspiration was the fabric that Debra found at a local thrift store. It feels and looks like leather and she found a couple of yards of this stuff for $4.00! 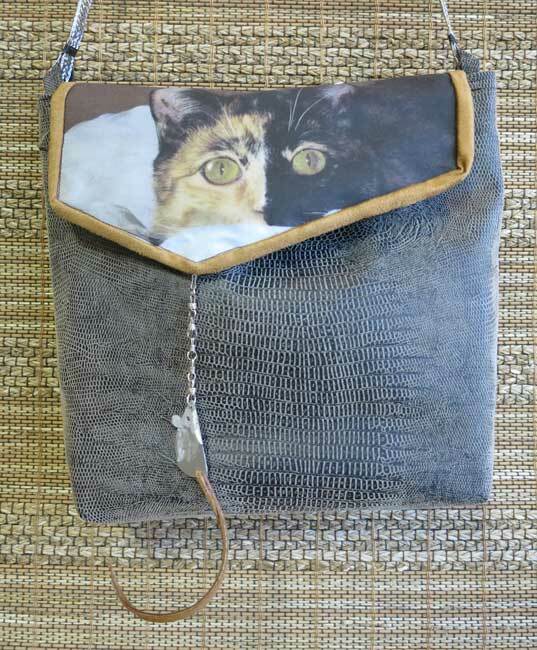 and make the mouse dangling from my cat Ichi. I just came back from a fantastic class at Anderson Ranch in Snowmass Village, CO. The mountains are beautiful this time of year and cooler than in Fort Collins. If you don’t know about Anderson Ranch you need to check it out. They offer 1-2 week workshops all summer. The ranch offers arts and crafts classes including painting, photography, sculpture, ceramics and woodworking, and the topics and instructors change every year. This year I took a class from Natasha Seedorf on steel smithing. I focused on learning skills, but still ended up with a few finished pieces. I plan on using my new skills for my encaustic, for example these rings will be a frame for a wax piece I’m working on. In sculpture I can use both hot and cold connections. Hand formed steel rings are at the top of the necklace and cold riveted bars on used on the bottom. 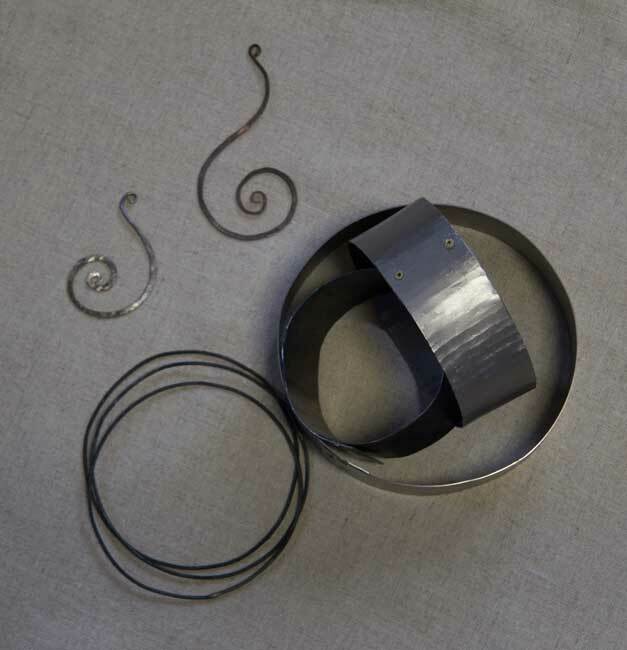 The two pieces below on the left are bar steel torched while in a vice and then twisted while red-hot. I have to admit how fun it is to twist steel like putty! 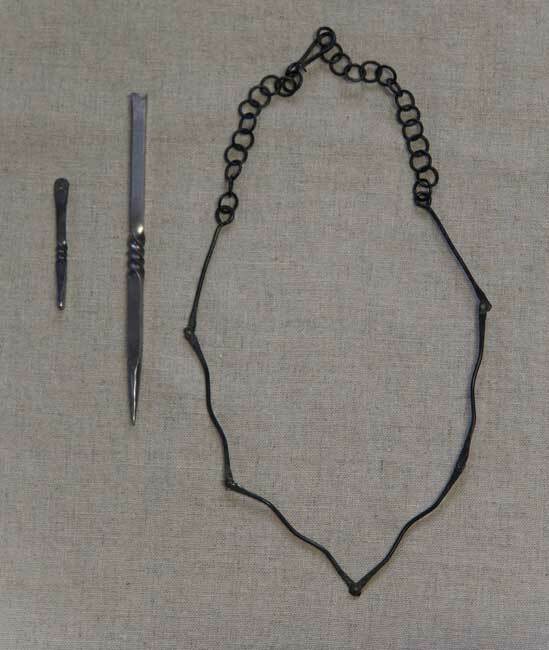 Far left is a “bead” for a future necklace and the long piece is an awl for woodworking. I can also use these connections for my fiber arts and sewing. 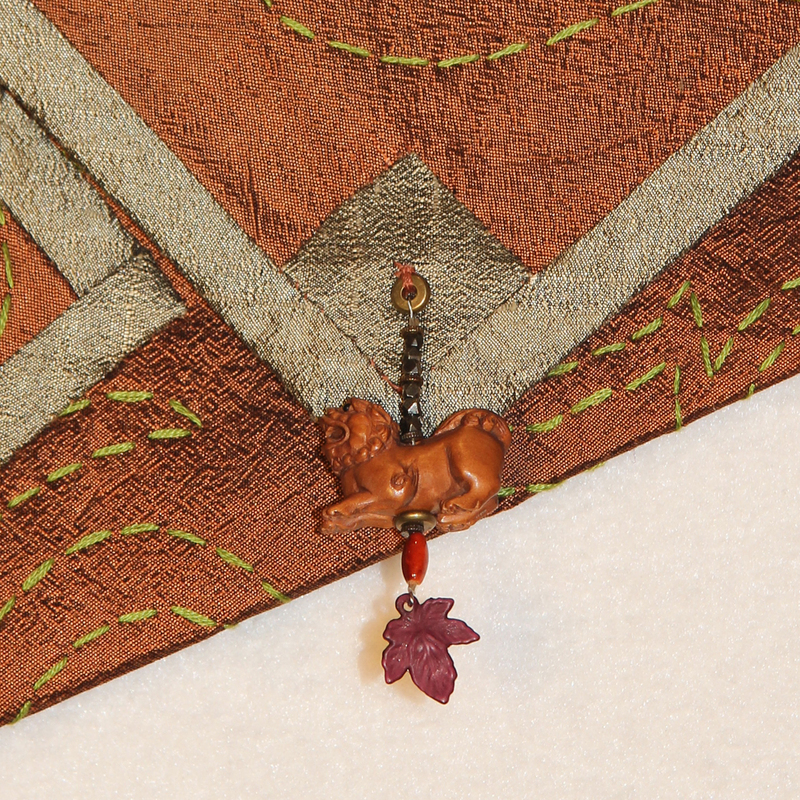 In addition, it never hurts to make a piece of jewelry once in a while! 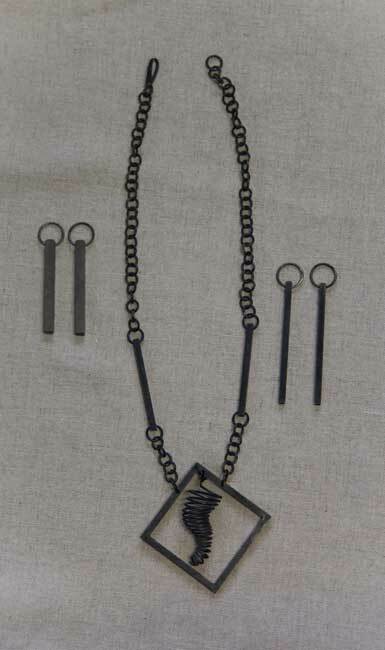 Below is a necklace and a couple of simple earrings. I went home and immediately gave away my Acetylene/Air torch and purchased a Smith mini torch that uses Acetylene/Oxygen to get a higher temp. I’ll keep you up to date on my future adventures with metals! Since I have been traveling so much the knitting has increased, and I have finished two projects. The bad news is project two didn’t work out so well, but I’m going to be brave and show you both hoping that someone has a solution before I unravel or just send it to the charity bag! Smaller projects work best when traveling and I usually stick to one color. I broke that rule in this first shawl/scarf project since the yarn was a small gauge, and it is an easy pattern. I wish you could feel this yummy yarn. 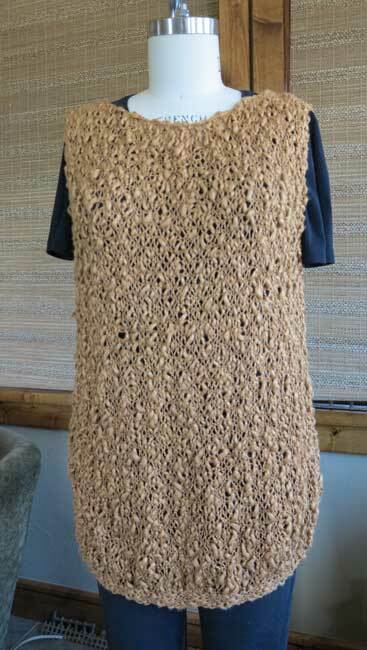 I used Blue Sky Alpacas – Blue Sky Metalico in Platinum and Gold Dust Purchased at my LYS The Loopy Ewe. It’s 90 degrees out and I want to wear this!! 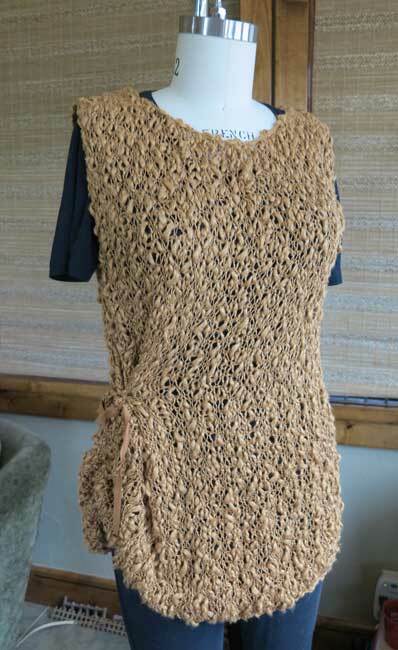 The pattern is IWO from Berroco purchased on Ravelry. Now for the fail. 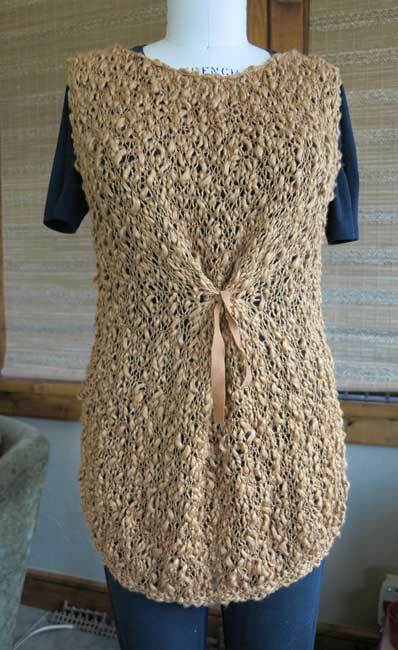 I really love the look of this pattern the Hope Tank by Tahki yarns. I didn’t think this was an appropriate pattern to substitute another yarn, so I searched on the internet and ordered it in my favorite color. My first warning should have been the yarn when it arrived. Don’t get me wrong, the yarn is lovely but those thick nubs produce a much warmer fabric than the Summer weight shell pictured. 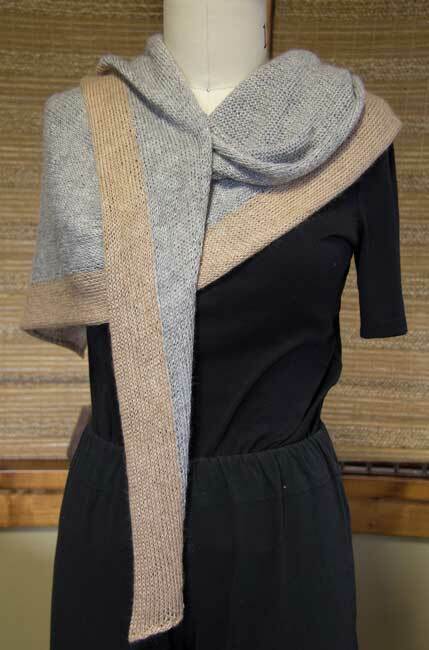 I still have three scarf projects that have not been shown on my site. 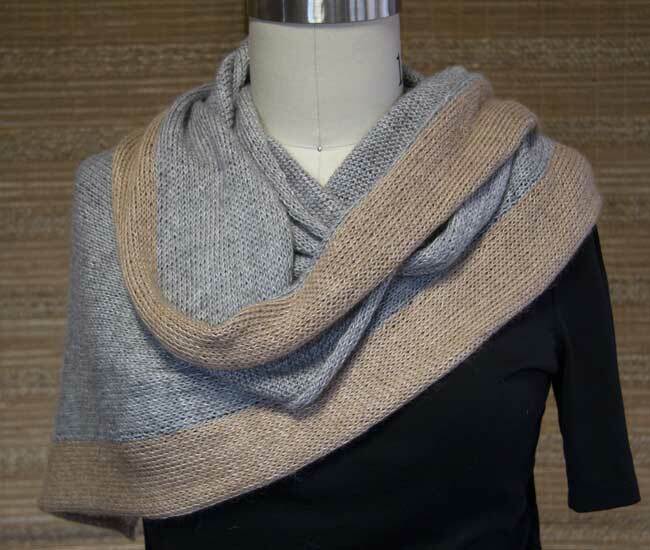 The first is a yummy combination of Shibui Knits Cima and Silk Cloud held together. 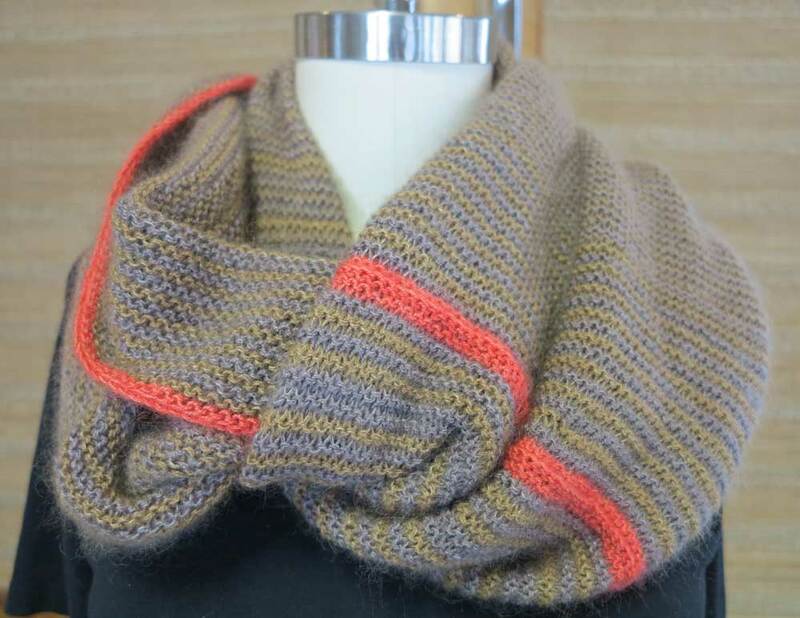 The colors are luscious and it was a very easy knit. My husband stole this one as soon as it came off the needles! It has taken me a while to get it back from him for photography. 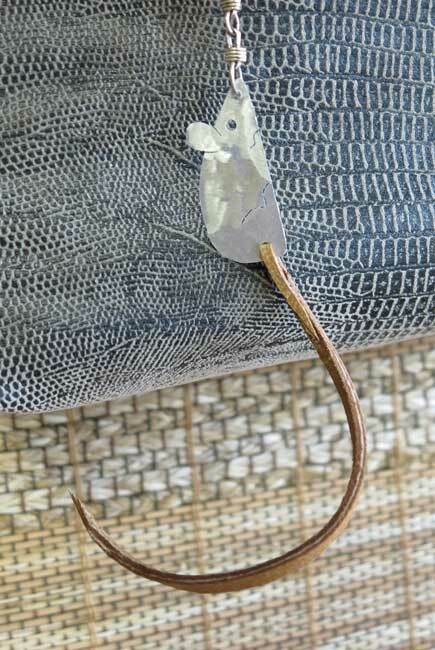 The pattern is Shibui Mix No. 20. 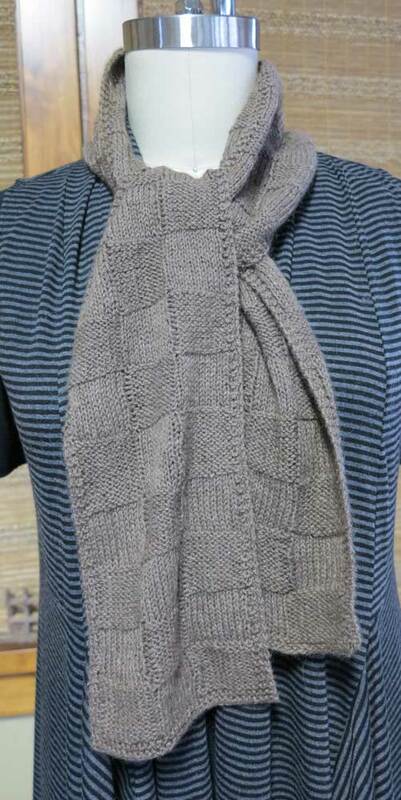 Other than changing colors and stripe direction it’s simple knitting. I was able to knit the whole project during all of those movie explosions my husband loves to watch. The second scarf is also for my husband. I mentioned to him that qiviut (remember this word Scrabble players) is even softer than cashmere, but VERY expensive. He insisted on searching out some skeins on Etsy so he could have another scarf. Qiviut, in case you are not familiar, is the soft under fur of the musk ox. Shed each season, the wool is collected off the tundra and rocks in northern climates. While I’m not sure it was worth the price (around $180 for the two skeins), the scarf of my design did come out well and he is wearing it a lot. This last scarf, knitted for a friend over a year ago just needed finishing. 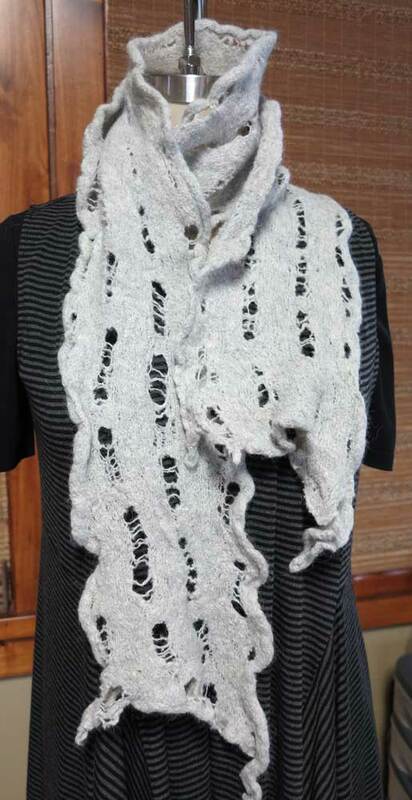 The pattern is Les Miserable by Cynthia Parker and knit with Classic Elite Yarns Silky Alpaca Lace. All I had to do was full (felt) the scarf by hand so I procrastinated until last week. As it turned out the hand felting recommended in the pattern wasn’t working for me, so I threw it in the washer. Felting in the washer is so easy, but I thought it would be too strong of a felting. The resulting scarf is cool and if I had only known, I would have finished this project last year. Procrastinating to this level has taught me a lesson…Just Finish It!